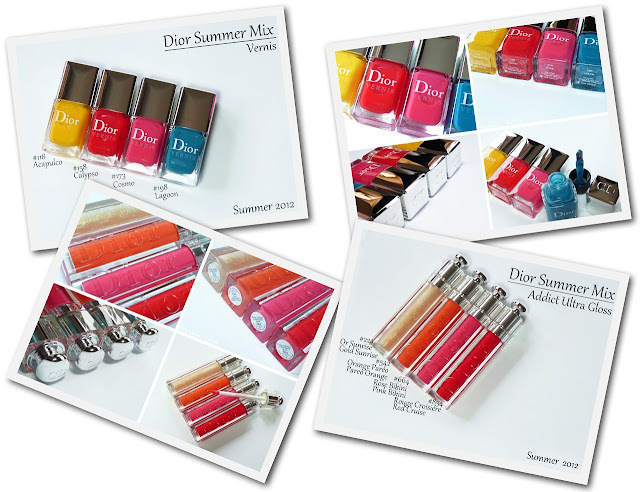 This Summer new Dior make up collection is the promise of a colorful, glossy, translucent and cheerful array of colors. 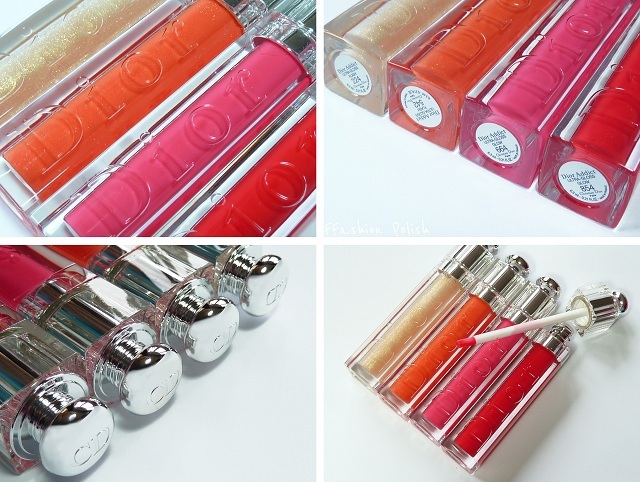 I have a soft spot for lipsticks and lipglosses so obvisouly I was really excited to try these. Formula was amazing : really comfortable and non sticky. The first 2 shades are packed with sparkles and the other two, glossy, offer a quite decent pigmentation with very little product. I'd have a really hard time picking a favorite. Oh, and they are non scented, just in case you were wondering! Acapulco is somewhere between a sunflower and an eggyolk yellow jelly. 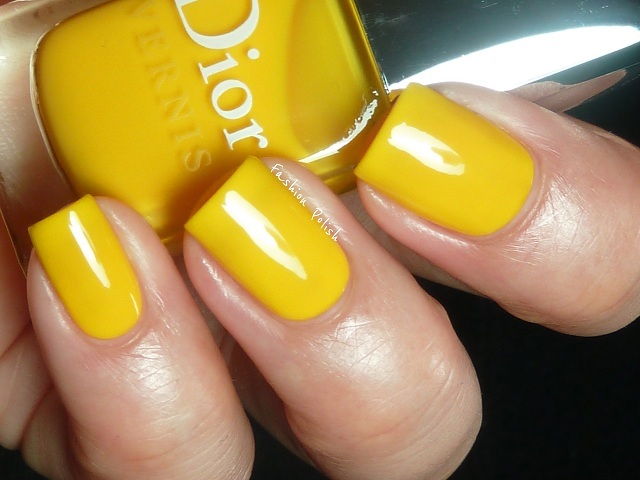 I'm not so sure I'm sold on warm yellows with my skintone but this one's such a happy color that I could definitely pull it off in the Summer. 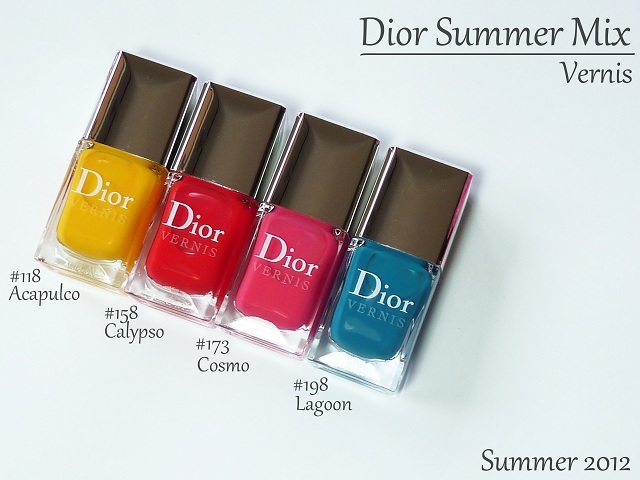 For these swatches, I applied 3 coats and no topcoat as it is beyond glossy on its own, not that you should ever skip topcoat... There is still a little bit of VNL but it didn't bother me enough to justify a fourth coat. Drying time was amazingly fast for a jelly and self levelling oustanding for a yellow. Calypso probably is the one color I could have been inclined to pass. It's "just" a coral jelly after all. Such a mistake! It is pure glossy, squishy, jelliciousness. Hands down my favorite polish from the collection. 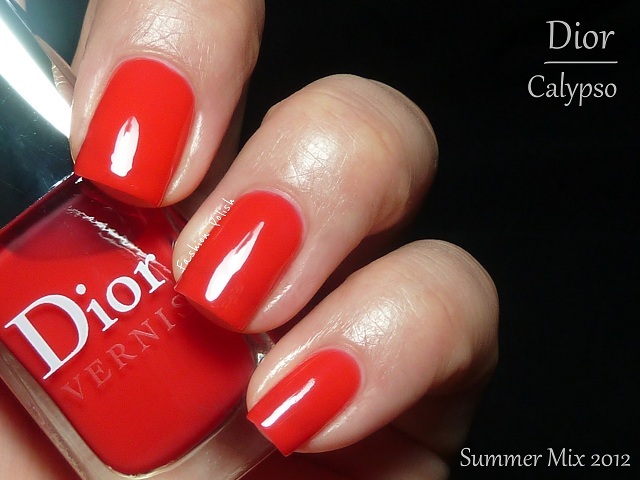 Two coats were enough to achieve the same opacity as Acapulco so I decided to leave it at that. No topcoat here either, just a tad cooler than the swatches and ultra fast drying. Cosmo is a very bright and saturated pink jelly. I also loved this one so much that I had to post it asap on Twitter and Instagram. 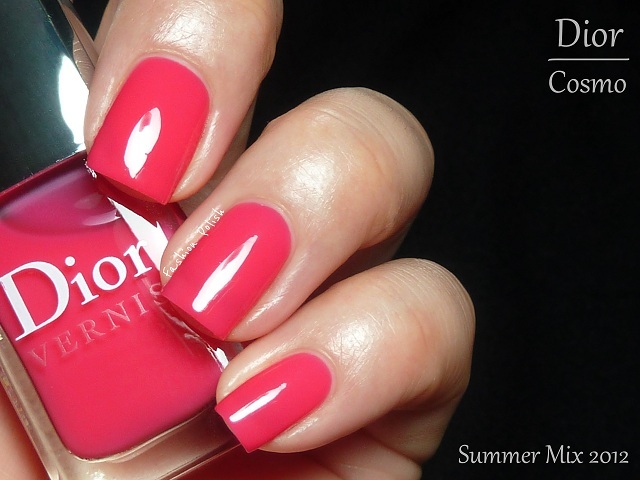 It's a very good match to the Pink Bikini lipgloss. I applied 3, fast drying, self levelling coats here, no topcoat and a tad of VNL. 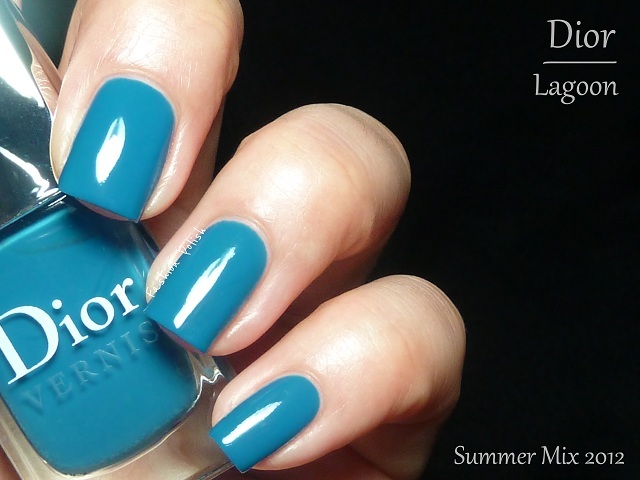 Lagoon is a medium blue crelly (creme-jelly) with a fast drying formula. It's the one I thought I'd love the most but it's been completely outshined by Calypso and Acapulco in my eyes. I still love it but not head-over-heels love it. Two coats were enough to reach full opacity. I swatched it without topcoat too but it's not as shiny as the other three. Did you get any of these? 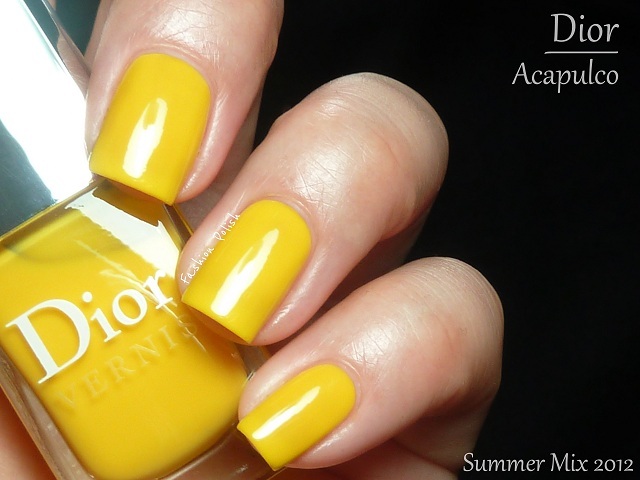 Do you sometimes "match" your lips and nails? 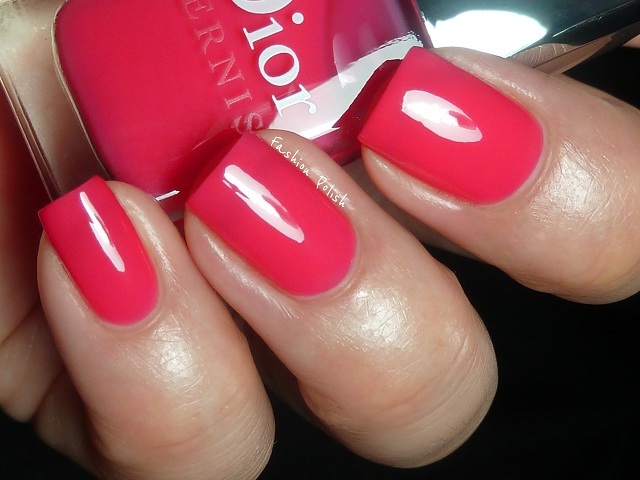 omg i'm totally drooling over those jelly polishes! 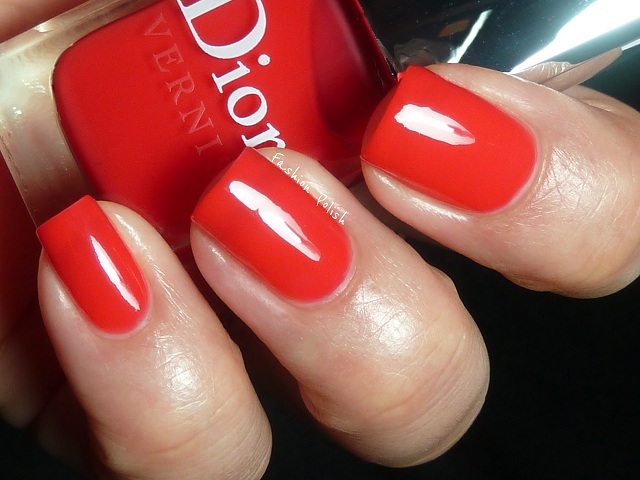 dior certainly did an excellent job on them. those lip colors look really fantastic on you as well! Ohhhh more jellies! I love them all. Will definitely be picking up all four. I'm not a big "gloss girl" though. I hate having sticky lips the most! Pink Bikini & Red Cruise glosses look nice! 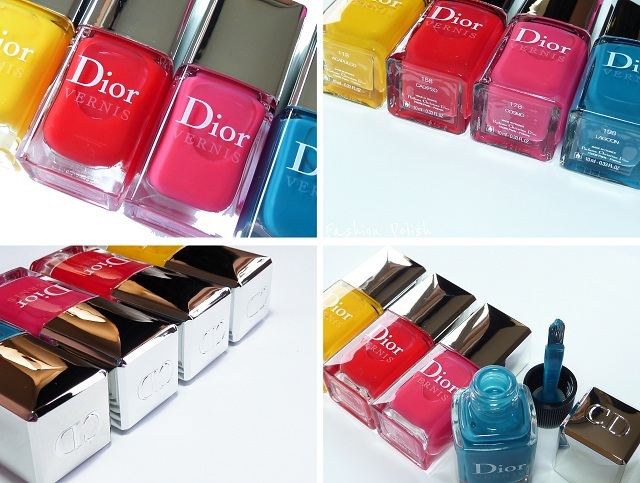 I like all the colors of the polishes! O I love the blue jelly. Sooo pretty. 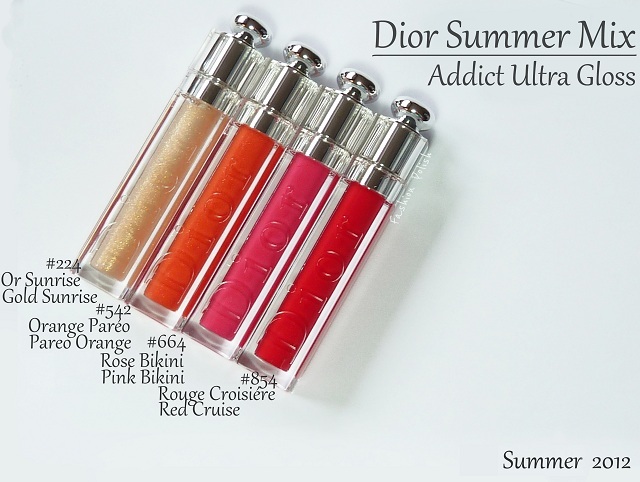 OMG I love all of it, except for the two shimmery lipglosses. Acapulco is amazing! this collection is a MUST HAVE!!!! I love all the colors! on my way to find mine online! thanks for the great pics!!! 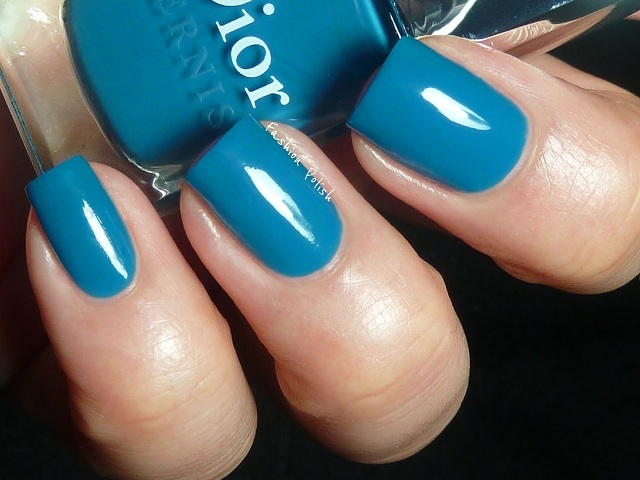 I love the jelly polishes but the price tag will most likely keep me from buying them. I never really thought about matching lips and nails but that would be a cool idea (if only I had matching lip products, haha).